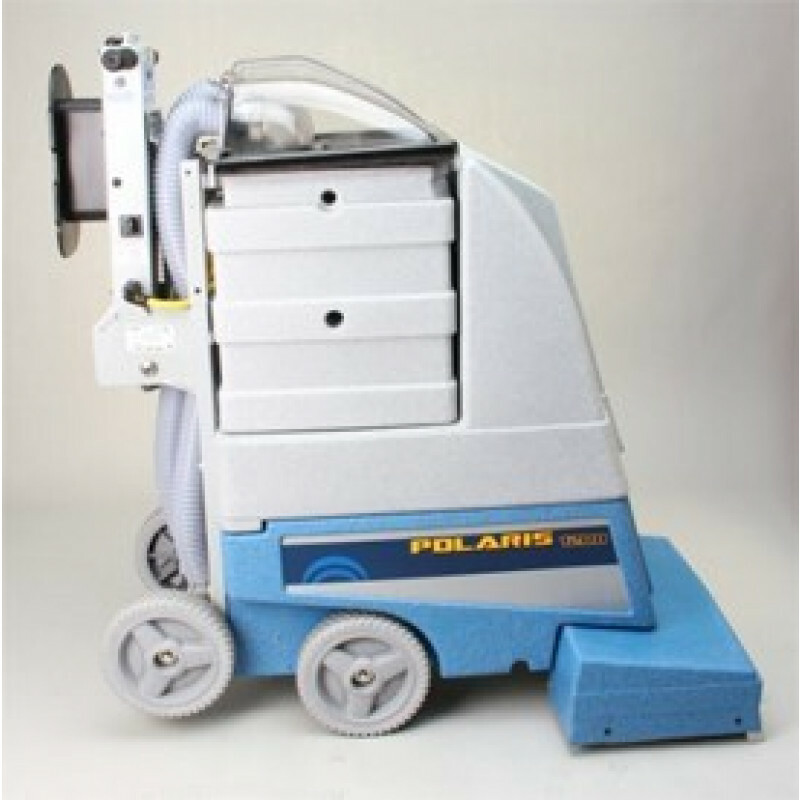 The EDIC 'Polaris' 12-gallon self contained carpet extractor comes equipped with dual vacuum motors to more thoroughly clean and dry carpets. Top quality construction combined with ease of operation make the Polaris consistently outperform the competition. This carpet extractor has a built-in silencer so you can clean without interrupting the workflow of your customers. Emptying the recovery tanks is a breeze with no hose to detach and easy lift-out buckets. Maintenance is a breeze as well - just remove two screws and open like a clamshell for quick internal access. If you're looking for a smaller model, make sure to take a look at our full line up of self contained carpet machines. We're sure to have just the right self contained extractor for your needs. And don't forget your carpet cleaning chemicals, where you can find a whole package of solutions and spotters at great deals over buying them individually. Our handy EDIC Comparison Chart will help you decide which EDIC machine is right for you. Warranty : 2 years parts & labor, lifetime on rotationally-molded housing. Large wheels, adjustable handle and light-weight construction team up for easy handling and storage. 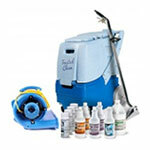 Optional accessories quickly attach to the rear of the machine for cleaning stairs, upholstery, etc. Patented dual lift-off recovery buckets provide quick and convenient emptying. Patented four-wheel design for balance and reduced turning radius. High Speed brush motor and brush guarantee powerful agitation to release deeply embedded soil and grit, extending carpet life. Patented brush system utilizes fully sealed stainless steel ball bearings for years of trouble-free operation. Lifetime warranty for roto-molded tanks, 2 years on parts and labor.